I spent last weekend at LAUNCH with two friends. 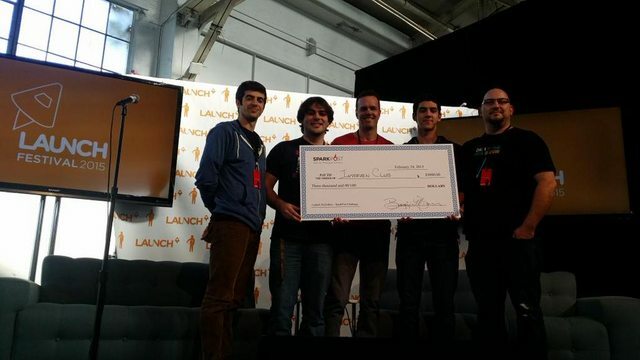 Our team, The Interview Club, won 5 prizes for a total of $13,500 cash (plus t-shirts). To decompress a little, I want to share the postmortem and some tips that made the hack successful. 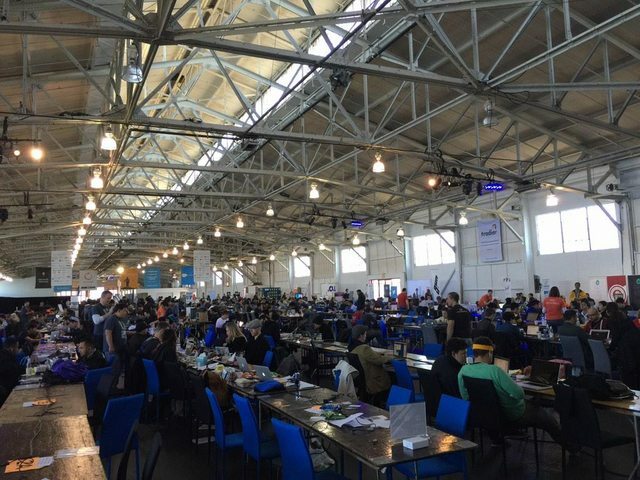 LAUNCH is one of the biggest hackathons in the world. We planned to attend for a while, but found ourselves driving up to SF last Friday without a solid idea. Last week someone offered me a few hundred dollars to interview a candidate. This isn't uncommon - every couple weeks I do a technical interview as a favor to a friend. All three of us used to work at a small company, where we’d spend hours each week interviewing candidates. Usually interviews were a huge waste of time because screening by resume is very flawed. 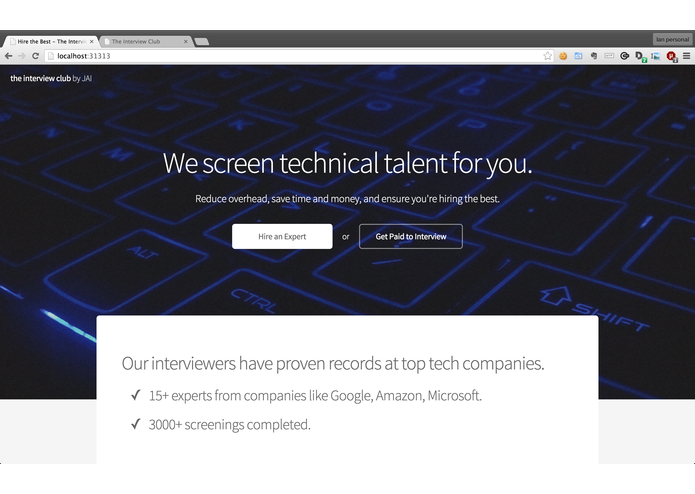 What if there was a marketplace where companies could have top engineers interview their candidates? With a couple ideas floating around, we decided as we were driving that if we passed SFO and didn’t think of anything better, we’d go for it. Avoid backend work - Parse is a great tool for quick prototyping. The goal is to make the app work, but minimize the amount of time building things that people don’t actually see. Pretty landing page - I’m terrible at design, so I got a head start with a professional looking template. The landing page is important because it's a first impression, and impressions are limited at a hackathon. I based my design off one from html5up.net. Division of labor - This is important. I handled random stuff like the frontend design, domain setup, emailing, special cases like the node server we had to run when Parse wouldn’t cut it. Andy handled most 3rd party integrations. Julius handled the details and polish of our expert-company-candidate interactions. Less is more - I’m a strong believer in diminishing returns and I don’t think working through the night is an effective way to win a hackathon. Best to stay clear-minded and healthy. I knew our idea had legs but it wasn't flashy or cool, so the only way to make it stand out was to get real people committed. This would solve the chicken-and-egg problem of our two-sided marketplace. Users at all costs - for an idea like this, you need people to prove it. Post on social media - the appropriate subreddits, Hacker News (where the thread died without much notice), and even Google+. Ads - A Facebook ad was a few dollars and led to a couple clicks. Hackathon Hackers - this Facebook group is a great community of people who are super supportive of hacks. Their support was incredibly helpful. In less than 24 hours, we received over 100 signups. 100+ engineers who want to interview for me, 5-10 companies that want to interview technical candidates but don’t have the in-house resources to do so. Early traction was a huge boost for us. The fact that we had already solved our two-sided marketplace problem and proved the market played an important role in our success. I started pitching on Friday to some of the sponsors. You don’t have to make a big deal about “pitching,” just casually explain your idea to people. It didn’t seem too helpful at first (most people will just nod and say something polite), but it will pay off in a big way when people give feedback. For me, what helped crystallize the vision was a comment from a CEO who pointed out that I should really target companies between 1 and 30 people (my initial pitch targeted one-off MBA types who needed tech talent). Small companies just don’t have the time and technical resources to effectively screen the top of their funnel, and that’s why this idea was so powerful. It’s actually not over - we’re presenting at the LAUNCH festival tomorrow, competing with the top 5 teams for the grand prize of a $100k investment. Finally, special shout out to the LAUNCH and ChallengePost people who put this together. We had an awesome time and you were incredibly helpful. Engineers - companies have signed up to pay $100+ per technical interview. Companies - we have over 100 talented engineers - many of them at top-tier companies - who would like to help you hire talent.